This may be the most difficult question you sit down and ask yourself. 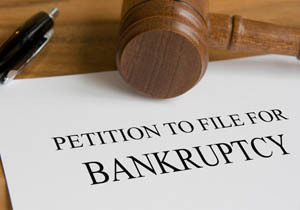 Is filing for personal bankruptcy in NH the only solution? There is no absolute checklist that can definitively determine the answer for you. However, there are indicators that can help you decide if bankruptcy is the best option at this time. With the New Hampshire bankruptcy rate declining over recent months some are still facing it as the only option. When you find yourself weighing bankruptcy as a way to deal with overwhelming debt or financial hardship, you need to seek the help of a legal professional. With over 20 years of experience, Attorney Kelley can help you understand all of your options so that you can decide if a bankruptcy filing is the best course of action for you. Should I File For Personal Bankruptcy? Bankruptcy might be the next step if you have already reduced your living expenses as much as possible. If you have sought lower payments and lower interest rates and still feel like you can’t get control of your debt, bankruptcy might be the best option. One way to decide if bankruptcy is your best solution is to add up all of your assets, such as bank accounts, pensions, cars, and real estate. Then, add up all of your debt. If your debt is more than the value of all of your assets, you may be fighting an uphill battle. Bankruptcy can help you get out of debt and out of that fight. There is no reason to carry around any shame, guilt, or embarrassment about your financial struggles. There is help and guidance so you can get the fresh start you need. The sooner you contact a bankruptcy attorney to review your situation, the sooner you can find relief. Attorney Chris Kelley is a licensed NH bankruptcy lawyer who will give your case the time and dedication it needs so you can make an informed decision. Don’t wait any longer to find out how best to deal with your financial troubles and to get back on stable financial footing.